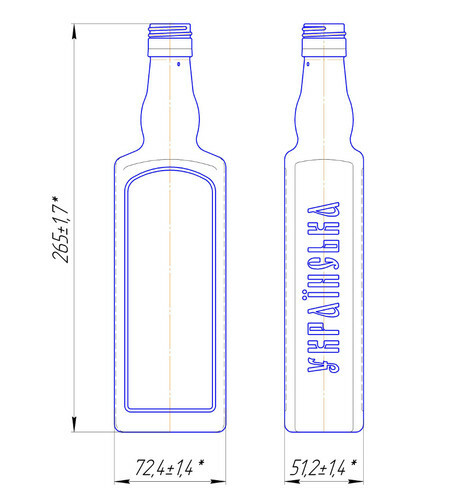 Glass containers are designed for bottling of alcoholic and nonalcoholic food industry. Configurations with a body diameter of not more than 90 mm, depending on the type of capping, any types of collars are produced. We offer a wide range of standard and souvenir glass containers. 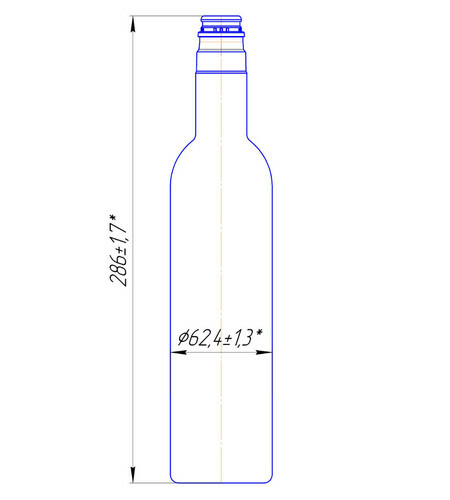 It is possible to make a bottle according to the customer's drawings. 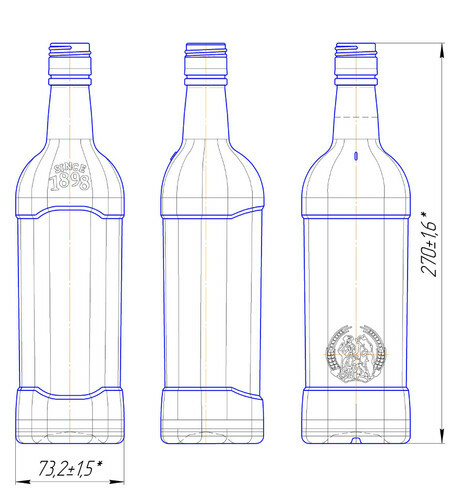 In accord with request of the customer it is possible to develop drawings of an exclusive bottle in accordance with the stated technical requirement. All products are declared with the requirements conformity of regulatory documentation. Packing is made in pallets on wooden euro pallets of 1200 mm x 1000 mm. Shipment is carried out by rail, road transport in HGV and special semi-trailers (INLOADER), as well as on self-delivery conditions.